Originally bought here CARFAX 1-Owner, GREAT MILES 35! FUEL EFFICIENT 28 MPG Hwy/21 MPG City! Moonroof, Nav System, Heated Leather Seats, BASIC REAR SEAT CONVENIENCE PACK , CAR CARE PACK , Aluminum Wheels, Power Liftgate, Back-Up Camera, Turbo Charged Engine, All Wheel Drive, WHEEL PROTECTION PACK CHROME LOCKS , WHEELS: 19 10 SPOKE SPARKLE SILVER, R-DYNAMIC BRANDED LEATHER STEERING WH. AND MORE! KEY FEATURES INCLUDE Navigation, All Wheel Drive, Power Liftgate, Back-Up Camera, Turbocharged, Premium Sound System, iPod/MP3 Input, Onboard Communications System, Remote Engine Start, Dual Zone A/C, Brake Actuated Limited Slip Differential, Smart Device Integration, Cross-Traffic Alert, Lane Keeping Assist, WiFi Hotspot Rear Spoiler, MP3 Player, Keyless Entry, Privacy Glass, Remote Trunk Release. OPTION PACKAGES FIXED PANORAMIC ROOF, COLD CLIMATE PACKAGE: Softgrain Leather Heated Steering Wheel, Heated Windshield w/Heated Washer Jets, 14-WAY HEATED MEMORY FRONT SEATS: memory mirrors, SIRIUSXM SATELLITE RADIO & HD RADIO: 3-month complimentary service, R-DYNAMIC BRANDED LEATHER STEERING WHEEL: black gearshift paddles, HOMELINK GARAGE DOOR OPENER, WHEEL PROTECTION PACK CHROME LOCKS: tire pressure gauge and tire and wheel cleaner, Chrome Wheel Locks, BASIC REAR SEAT CONVENIENCE PACK: 2 click and go base units, hook attachment and coat hanger attachment, CAR CARE PACK, PREMIUM INTERIOR PROTECTION PACK: Trunk Mat, Collapsible Cargo Carrier, Windshield Sunshade, Front/Rear Rubber Mats, WHEELS: 19 10 SPOKE SPARKLE SILVER: Style 1039 (STD), NARVIK BLACK, EBONY/EBONY, GRAINED LEATHER SEAT TRIM. . ADDITIONAL OPTION PACKAGES Smartphone Pack, Light Oyster Morzine Headlining, P250 & SE Badges, Black Gearshift Paddles, Powered Tailgate, and Meridian Sound System (380 Watt) Horsepower calculations based on trim engine configuration. Fuel economy calculations based on original manufacturer data for trim engine configuration. Please confirm the accuracy of the included equipment by calling us prior to purchase. Originally bought here CARFAX 1-Owner, GREAT MILES 157! EPA 28 MPG Hwy/21 MPG City! Moonroof, Heated Leather Seats, Nav System, BASIC REAR SEAT CONVENIENCE PACK , CAR CARE PACK , Aluminum Wheels, Power Liftgate, Back-Up Camera, Turbo Charged Engine, All Wheel Drive, WHEEL PROTECTION PACK CHROME LOCKS , WHEELS: 19 10 SPOKE SPARKLE SILVER, R-DYNAMIC BRANDED LEATHER STEERING WH. FUJI WHITE SEE MORE! KEY FEATURES INCLUDE Navigation, All Wheel Drive, Power Liftgate, Back-Up Camera, Turbocharged, Premium Sound System, iPod/MP3 Input, Onboard Communications System, Remote Engine Start, Dual Zone A/C, Brake Actuated Limited Slip Differential, Smart Device Integration, Cross-Traffic Alert, Lane Keeping Assist, WiFi Hotspot. Rear Spoiler, MP3 Player, Keyless Entry, Privacy Glass, Remote Trunk Release. OPTION PACKAGES FIXED PANORAMIC ROOF, COLD CLIMATE PACKAGE: Softgrain Leather Heated Steering Wheel, Heated Windshield w/Heated Washer Jets, 14-WAY HEATED MEMORY FRONT SEATS: memory mirrors, SIRIUSXM SATELLITE RADIO & HD RADIO: 3-month complimentary service, R-DYNAMIC BRANDED LEATHER STEERING WHEEL: black gearshift paddles, HOMELINK GARAGE DOOR OPENER, WHEEL PROTECTION PACK CHROME LOCKS: tire pressure gauge and tire and wheel cleaner, Chrome Wheel Locks, BASIC REAR SEAT CONVENIENCE PACK: 2 click and go base units, hook attachment and coat hanger attachment, CAR CARE PACK, PREMIUM INTERIOR PROTECTION PACK: Trunk Mat, Collapsible Cargo Carrier, Windshield Sunshade, Front/Rear Rubber Mats, WHEELS: 19 10 SPOKE SPARKLE SILVER: Style 1039 (STD), FUJI WHITE, EBONY/EBONY, GRAINED LEATHER SEAT TRIM. . ADDITIONAL OPTION PACKAGES Smartphone Pack, Light Oyster Morzine Headliner, P250 & SE Badges, Black Gearshift Paddles, Powered Tailgate, and Meridian Sound System (380 Watt) Horsepower calculations based on trim engine configuration. Fuel economy calculations based on original manufacturer data for trim engine configuration. Please confirm the accuracy of the included equipment by calling us prior to purchase. Originally bought here, Retired Service Loaner! FUEL EFFICIENT 28 MPG Hwy/21 MPG City! CARFAX 1-Owner, LOW MILES - 1,773! Heated Seats, iPod/MP3 Input, Onboard Communications System, All Wheel Drive, Back-Up Camera, Lane Keeping Assist, Brake Actuated Limited Slip Differential, Remote Engine Start, Dual Zone A/C, Turbo Charged Engine, 8-WAY HEATED FRONT & REAR SEATS, EBONY/EBONY, CLOTH SEAT TRIM, Aluminum Wheels CLICK ME! KEY FEATURES INCLUDE Turbocharged, Aluminum Wheels Rear Spoiler, MP3 Player, Privacy Glass, Remote Trunk Release, Keyless Entry. OPTION PACKAGES BORASCO GREY METALLIC, SIRIUSXM SATELLITE RADIO & HD RADIO: 3-month complimentary service, CAR CARE PACK, BASIC REAR SEAT CONVENIENCE PACK: 2 click and go base units, hook attachment and coat hanger attachment, WHEEL PROTECTION PACK CHROME LOCKS: tire pressure gauge and tire and wheel cleaner, Chrome Wheel Locks, BASIC INTERIOR PROTECTION PACK: Trunk Mat, Collapsible Cargo Carrier, Front/Rear Rubber Mats. . WHY BUY FROM US Land Rover Flatirons is different. We have assembled a team whose goal is to deliver the best ownership experience possible to everyone that chooses to own a Land Rover or Range Rover. Our pre-owned cars are reconditioned to a level unequalled in the market. ADDITIONAL OPTION PACKAGES 17 20 Spoke Style 1005 Wheels, P250 AWD Badge, and Light Oyster Morzine Headlining Horsepower calculations based on trim engine configuration. Fuel economy calculations based on original manufacturer data for trim engine configuration. Please confirm the accuracy of the included equipment by calling us prior to purchase. Originally bought here, Retired Service Loaner! CARFAX 1-Owner, ONLY 1,730 Miles! EPA 27 MPG Hwy/22 MPG City! Sunroof, Heated Leather Seats, NAV, LIGHT OYSTER/PISTACHIO, PERFORATED GR. LIGHT OYSTER/PISTACHIO, PERFORATED GRAINED LEATHER SEAT TRIM, Panoramic Roof, Power Liftgate, Turbo, All Wheel Drive, BASIC INTERIOR PROTECTION PACKAGE , SIRIUSXM SATELLITE RADIO , WHEELS: 19 5 SPOKE W/GLOSS BLACK FIN. READ MORE! KEY FEATURES INCLUDE Navigation, Sunroof, Panoramic Roof, All Wheel Drive, Power Liftgate, Turbocharged, Premium Sound System, iPod/MP3 Input, Onboard Communications System, Remote Engine Start, Dual Zone A/C, Brake Actuated Limited Slip Differential, Lane Keeping Assist, WiFi Hotspot Rear Spoiler, MP3 Player, Keyless Entry, Privacy Glass, Child Safety Locks. OPTION PACKAGES DRIVER ASSIST PACKAGE: Blind Spot Assist, Adaptive Cruise Control w/Steering Assist, 360 Parking Aid, Park Assist, Surround Camera System, High-Speed Emergency Braking, Rear Traffic Monitor, COMFORT & CONVENIENCE PACKAGE: Perforated Grained Leather Seat Trim, Powered Gesture Tailgate, Rear Seat Remote Release Levers, Electrically Reclining Rear Seats, Cooled Front Seats & Heated Rear Seats, WHEELS: 19 5 SPOKE W/GLOSS BLACK FINISH: (Style 5037), BASIC INTERIOR PROTECTION PACKAGE: For vehicles without full-size spare, GLOSS BLACK ROOF RAILS, SIRIUSXM SATELLITE RADIO, BLACK EXTERIOR PACKAGE: gloss black side vents and side window surround, Gloss Black Grille w/Gloss Black Surround, SMARTPHONE PACKAGE: Android Auto and Apple CarPlay, LIGHT OYSTER/PISTACHIO, PERFORATED GRAINED LEATHER SEAT TRIM, NARVIK BLACK. . Horsepower calculations based on trim engine configuration. Fuel economy calculations based on original manufacturer data for trim engine configuration. Please confirm the accuracy of the included equipment by calling us prior to purchase. Originally bought here SE trim. CARFAX 1-Owner, ONLY 30 Miles! EPA 28 MPG Hwy/21 MPG City! Heated Leather Seats, Navigation, Turbo Charged, Aluminum Wheels, PREMIUM INTERIOR PROTECTION PACK , Back-Up Camera, Premium Sound System, All Wheel Drive, Power Liftgate, EBONY/SIENNA TAN, WINDSOR LEATHER SEA. WHEELS: 19 10 SPOKE SPARKLE SILVER, R-DYNAMIC BRANDED LEATHER STEERING WH. CLICK ME! KEY FEATURES INCLUDE Navigation, All Wheel Drive, Power Liftgate, Back-Up Camera, Turbocharged, Premium Sound System, iPod/MP3 Input, Onboard Communications System, Remote Engine Start, Dual Zone A/C, Lane Keeping Assist, WiFi Hotspot, Cross-Traffic Alert, Brake Actuated Limited Slip Differential, Smart Device Integration. Rear Spoiler, Remote Trunk Release, Keyless Entry, Privacy Glass, Child Safety Locks. OPTION PACKAGES 18-WAY HEATED MEMORY FRONT & REAR SEATS: memory mirrors, COLD CLIMATE PACKAGE: Softgrain Leather Heated Steering Wheel, Heated Windshield w/Heated Washer Jets, SANTORINI BLACK METALLIC, SIRIUSXM SATELLITE RADIO & HD RADIO: 3-month complimentary service, FULL LENGTH GLOSS BLACK ROOF RAILS, R-DYNAMIC BRANDED LEATHER STEERING WHEEL: black gearshift paddles, 2 ADDITIONAL POWER SOCKETS, CHROME SIDE WINDOW SURROUND, PREMIUM INTERIOR PROTECTION PACK: Trunk Mat, Collapsible Cargo Carrier, Windshield Sunshade, Front/Rear Rubber Mats, EBONY/SIENNA TAN, WINDSOR LEATHER SEAT TRIM, WHEELS: 19 10 SPOKE SPARKLE SILVER: Style 1039 (STD). Jaguar SE with Santorini Black Metallic exterior and Ebony/Sienna Tan interior features a 4 Cylinder Engine with 246 HP at 5500 RPM*. . ADDITIONAL OPTION PACKAGES Smartphone Pack, Light Oyster Morzine Headlining, P250 & SE Badges, Powered Tailgate, LED Headlights, Fixed Panoramic Roof, and Meridian Sound System (380 Watt) Horsepower calculations based on trim engine configuration. Fuel economy calculations based on original manufacturer data for trim engine configuration. Please confirm the accuracy of the included equipment by calling us prior to purchase. CARFAX 1-Owner, GREAT MILES 548! REDUCED FROM $59,822! EPA 28 MPG Hwy/20 MPG City! NAV, Heated/Cooled Leather Seats, Sunroof, Heated Rear Seat, Rear Air, All Wheel Drive, Alloy Wheels, PROTECTION PACKAGE , WHEELS: 19 7 SPLIT-SPOKE ALLOY (STYL. YULONG WHITE METALLIC, SIENNA TAN, PERFORATED WINDSOR LEATHE. WHEEL LOCK PACKAGE, CAR CARE KIT. READ MORE! KEY FEATURES INCLUDE Navigation, Sunroof, All Wheel Drive, Rear Air, Heated Driver Seat, Heated Rear Seat, Cooled Driver Seat, Back-Up Camera, Supercharged, Premium Sound System, Satellite Radio, iPod/MP3 Input, Onboard Communications System, Remote Engine Start, Dual Zone A/C. MP3 Player, Remote Trunk Release, Keyless Entry, Steering Wheel Controls, Child Safety Locks. OPTION PACKAGES YULONG WHITE METALLIC, PROTECTION PACKAGE: Front & Rear Rubber Mats, Collapsible Cargo Carrier, Trunk Mat, WHEEL LOCK PACKAGE: Jaguar logo license plate frame, Chrome Wheel Locks, CAR CARE KIT, PERFORATED WINDSOR LEATHER SEAT TRIM, WHEELS: 19 7 SPLIT-SPOKE ALLOY (STYLE 7012): (STD). Jaguar 35t Portfolio Ltd Edition with Yulong White Metallic exterior and Sienna Tan interior features a V6 Cylinder Engine with 340 HP at 6500 RPM*. EXPERTS RAVE Edmunds.com's review says The XF straddles the line between luxury and sport. Meanwhile, the cabin remains quiet and isolated.. A GREAT TIME TO BUY Reduced from $59,822. PURCHASE WITH CONFIDENCE CARFAX 1-Owner MORE ABOUT US Land Rover Flatirons is different. We have assembled a team whose goal is to deliver the best ownership experience possible to everyone that chooses to own a Land Rover or Range Rover. Our pre-owned cars are reconditioned to a level unequalled in the market. Horsepower calculations based on trim engine configuration. Fuel economy calculations based on original manufacturer data for trim engine configuration. Please confirm the accuracy of the included equipment by calling us prior to purchase. Originally bought here EPA 28 MPG Hwy/21 MPG City! CARFAX 1-Owner, LOW MILES - 28! Heated Leather Seats, Moonroof, Nav System, LUNAR/LIGHT OYSTER, GRAINED LEATHER S. PREMIUM INTERIOR PROTECTION PACK, WHEEL PROTECTION PACK CHROME LOCKS, CAR CARE PACK, BASIC REAR SEAT CONVENIENCE PACK, All Wheel Drive, Back-Up Camera, Aluminum Wheels, Turbo Charged Engine, COLD CLIMATE PACKAGE READ MORE! KEY FEATURES INCLUDE Navigation, Turbocharged, iPod/MP3 Input, Onboard Communications System, Remote Engine Start, Dual Zone A/C, Lane Keeping Assist, Brake Actuated Limited Slip Differential, WiFi Hotspot Rear Spoiler, MP3 Player, Privacy Glass, Child Safety Locks, Steering Wheel Controls. OPTION PACKAGES FIXED PANORAMIC ROOF, COLD CLIMATE PACKAGE: R-Dynamic Branded Leather Steering Wheel, black gearshift paddles, Heated Windshield w/Heated Washer Jets, KEYLESS ENTRY, SIRIUSXM SATELLITE RADIO & HD RADIO: 3-month complimentary service, 10-WAY HEATED FRONT SEATS, POWERED TAILGATE, RADIO: MERIDIAN 380W SOUND SYSTEM, SMARTPHONE PACKAGE: Apple CarPlay and Android Auto, R-DYNAMIC BRANDED LEATHER STEERING WHEEL: black gearshift paddles, HOMELINK GARAGE DOOR OPENER, WHEEL PROTECTION PACK CHROME LOCKS: tire pressure gauge and tire and wheel cleaner, Chrome Wheel Locks, CAR CARE PACK, BASIC REAR SEAT CONVENIENCE PACK: 2 click and go base units, hook attachment and coat hanger attachment, PREMIUM INTERIOR PROTECTION PACK: Trunk Mat VISIT US TODAY Land Rover Flatirons is different. We have assembled a team whose goal is to deliver the best ownership experience possible to everyone that chooses to own a Land Rover or Range Rover. Our pre-owned cars are reconditioned to a level unequalled in the market. ADDITIONAL OPTION PACKAGES Light Oyster Morzine Headlining, Smartphone Pack, P250 & S Badges, Black Gearshift Paddles, Auto-dimming & Power Folding Heated Exterior Door mirrors, and Meridian Sound System (380 Watt) Horsepower calculations based on trim engine configuration. Fuel economy calculations based on original manufacturer data for trim engine configuration. Please confirm the accuracy of the included equipment by calling us prior to purchase. Non-Smoker vehicle, Originally bought here, Retired Service Loaner! CARFAX 1-Owner, LOW MILES - 2,240! WAS $59,488, FUEL EFFICIENT 27 MPG Hwy/22 MPG City! Navigation, Heated Seats, Sunroof, Turbo Charged, Premium Sound System, Power Liftgate, Back-Up Camera, Panoramic Roof, All Wheel Drive, SIRIUSXM SATELLITE RADIO , WHEELS: 20 5 SPLIT-SPOKE (STYLE 5031. COMFORT & CONVENIENCE PACKAGE, DRIVE PACKAGE, FIRENZE RED METALLIC CLICK ME! KEY FEATURES INCLUDE Navigation, Sunroof, Panoramic Roof, All Wheel Drive, Power Liftgate, Back-Up Camera, Turbocharged, Premium Sound System, iPod/MP3 Input, Onboard Communications System, Remote Engine Start, Dual Zone A/C, Smart Device Integration, WiFi Hotspot, Lane Keeping Assist Rear Spoiler, MP3 Player, Keyless Entry, Privacy Glass, Steering Wheel Controls. OPTION PACKAGES COMFORT & CONVENIENCE PACKAGE: Perforated Grained Leather Seat Trim, Powered Gesture Tailgate, Rear Seat Remote Release Levers, Electrically Reclining Rear Seats, Cooled Front Seats & Heated Rear Seats, DRIVE PACKAGE: Blind Spot Assist, Adaptive Cruise Control w/Stop & Go, High-Speed Emergency Braking, WHEELS: 20 5 SPLIT-SPOKE (STYLE 5031): grey diamond turned finish, Tires: 20, FIRENZE RED METALLIC, PREMIUM INTERIOR PROTECTION PACKAGE: For vehicles without full-size spare, SIRIUSXM SATELLITE RADIO, BLACK EXTERIOR PACKAGE: gloss black side vents and side window surround, Gloss Black Grille w/Gloss Black Surround, GLOSS BLACK ROOF RAILS. Jaguar 30t Prestige with Firenze Red Metallic exterior and Ebony/Tan Stitch interior features a 4 Cylinder Engine with 296 HP at 5500 RPM*. . EXCELLENT VALUE Was $59,488. Horsepower calculations based on trim engine configuration. Fuel economy calculations based on original manufacturer data for trim engine configuration. Please confirm the accuracy of the included equipment by calling us prior to purchase. Originally bought here, Retired Service Loaner! 30t Portfolio trim. CARFAX 1-Owner, ONLY 3,756 Miles! FUEL EFFICIENT 27 MPG Hwy/22 MPG City! Nav System, Heated Leather Seats, Moonroof, Aluminum Wheels, Rear Air, Panoramic Roof, Power Liftgate, All Wheel Drive, Turbo Charged Engine, SIENNA TAN/TONAL STITCH, PERFORATED GRAINED LEATHER SEAT TRIM, CD/DVD PLAYER , WHEELS: 20 10 SPLIT-SPOKE (STYLE 101. DRIVE PACKAGE. READ MORE! KEY FEATURES INCLUDE Navigation, Sunroof, Panoramic Roof, All Wheel Drive, Power Liftgate, Rear Air, Heated Driver Seat, Heated Rear Seat, Cooled Driver Seat, Back-Up Camera, Turbocharged, Premium Sound System, Satellite Radio, iPod/MP3 Input, Onboard Communications System. Rear Spoiler, Keyless Entry, Remote Trunk Release, Privacy Glass, Child Safety Locks. OPTION PACKAGES DRIVE PACKAGE: Blind Spot Assist, Adaptive Cruise Control w/Stop & Go, High-Speed Emergency Braking, SANTORINI BLACK METALLIC, PREMIUM INTERIOR PROTECTION PACKAGE: For vehicles without full-size spare, BASIC REAR SEAT CONVENIENCE PACKAGE, CABIN AIR IONIZATION, SIENNA TAN/TONAL STITCH, PERFORATED GRAINED LEATHER SEAT TRIM: contrast stitching, CD/DVD PLAYER, WHEELS: 20 10 SPLIT-SPOKE (STYLE 1019): (STD), GLOSS FIGURED EBONY VENEER. 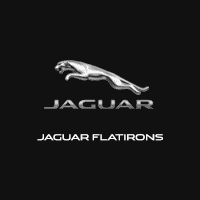 Jaguar 30t Portfolio with Santorini Black Metallic exterior and Sienna Tan/Tonal Stitch interior features a 4 Cylinder Engine with 296 HP at 5500 RPM*. . VISIT US TODAY Land Rover Flatirons is different. We have assembled a team whose goal is to deliver the best ownership experience possible to everyone that chooses to own a Land Rover or Range Rover. Our pre-owned cars are reconditioned to a level unequalled in the market. ADDITIONAL OPTION PACKAGES 20-Way Electric Memory Seats and Gloss Black Grille with Satin Chrome Window Surrounds Horsepower calculations based on trim engine configuration. Fuel economy calculations based on original manufacturer data for trim engine configuration. Please confirm the accuracy of the included equipment by calling us prior to purchase. PLATINUM BRA, WINDOW TINT CARFAX 1-Owner, ONLY 1,849 Miles! HSE trim. Navigation, Heated Leather Seats, Moonroof, Aluminum Wheels, Power Liftgate, Back-Up Camera, Panoramic Roof, All Wheel Drive, CAR CARE PACK , HEATED STEERING WHEEL , HEATED WINDSHIELD , ADAPTIVE DYNAMICS , WHEELS: 20 5 SPOKE (STYLE 5068), 18-WAY HEATED & COOLED SPORT SEATS, LIGHT OYSTER, WINDSOR LEATHER SEAT TR. CLICK NOW! KEY FEATURES INCLUDE Navigation, Sunroof, Panoramic Roof, All Wheel Drive, Power Liftgate, Back-Up Camera, Premium Sound System, Satellite Radio, iPod/MP3 Input, Onboard Communications System, Keyless Start, Dual Zone A/C, WiFi Hotspot, Lane Keeping Assist, Smart Device Integration. Rear Spoiler, MP3 Player, Remote Trunk Release, Keyless Entry, Privacy Glass. OPTION PACKAGES ADAPTIVE DYNAMICS: dynamic mode and Configurable Dynamics, ULTIMATE BLACK METALLIC, HEATED WINDSHIELD: Heated Washer Jets, HEATED STEERING WHEEL, ADAPTIVE SURFACE RESPONSE (ADSR), WINDSOR LEATHER SEAT TRIM, CAR CARE PACK, WHEELS: 20 5 SPOKE (STYLE 5068): Diamond turned finish (STD), 18-WAY HEATED & COOLED SPORT SEATS: electric memory front seats w/heated rear seats, electric fore and aft, electric cushion height, electric recline, electric lumbar, electric cushion tilt, electric cushion extension, electric adjustable bolsters and manual headrest (STD). Jaguar HSE with Ultimate Black Metallic exterior and Light Oyster interior features a Electric Motor with 394 HP at 4250 RPM*. . ADDITIONAL OPTION PACKAGES Demo Specification Pack (Gloss Charcoal Ash Veneer, Configurable Ambient Interior Lighting, Click & Go Integrated Base Unit, Head-Up Display), Heated Washer Jets, Light Oyster Morzine Headlining, Rubber Floor Mats, and Rubber Loadspace Mat Horsepower calculations based on trim engine configuration. Please confirm the accuracy of the included equipment by calling us prior to purchase. Originally bought here CARFAX 1-Owner, ONLY 33,508 Miles! FUEL EFFICIENT 26 MPG Hwy/20 MPG City! SE trim. Third Row Seat, Heated Leather Seats, Nav System, iPod/MP3 Input, EBONY/EBONY, PARTIAL LEATHER SEAT TRI. Back-Up Camera, 4x4, Turbo Charged Engine, PROTECTION PACK, 18 BLACK DESIGN PACKAGE, CLIMATE COMFORT PACKAGE, SD CARD NAVIGATION, INCONTROL APPS, CORRIS GRAY METALLIC. CLICK NOW! KEY FEATURES INCLUDE Back-Up Camera, Turbocharged, Onboard Communications System, Dual Zone A/C. Rear Spoiler, Privacy Glass, Steering Wheel Controls, Child Safety Locks, Electronic Stability Control. OPTION PACKAGES 3RD ROW PACKAGE: 5+2 seating and 1 3rd row USB charging port, 3rd Row Ventilation, CLIMATE COMFORT PACKAGE: heated windscreen, Heated Leather Steering Wheel, Heated Front & Rear Seats, CONVENIENCE PACKAGE: passive entry and Homelink, Powered Tailgate, Auto-Dimming Interior Mirror, 18 BLACK DESIGN PACKAGE: Wheels: 18 5 Split Spoke Gloss Black (Style 511), Gloss Black, front and rear badging, side mirrors and side vents, Santorini Black Contrast Roof, PROTECTION PACK: Rubber Mats, Sunshade, Loadspace Mat, WHEEL LOCK PACK: locks installed, LP frame placed in cargo area, chrome wheel locks and license plate frame, PARTIAL LEATHER SEAT TRIM, CORRIS GRAY METALLIC. . Edmunds.com's review says Like its close relative BUY FROM AN AWARD WINNING DEALER Land Rover Flatirons is different. We have assembled a team whose goal is to deliver the best ownership experience possible to everyone that chooses to own a Land Rover or Range Rover. Our pre-owned cars are reconditioned to a level unequalled in the market. Horsepower calculations based on trim engine configuration. Fuel economy calculations based on original manufacturer data for trim engine configuration. Please confirm the accuracy of the included equipment by calling us prior to purchase. Originally bought here, Retired Service Loaner! CARFAX 1-Owner, LOW MILES - 1,625! HSE Luxury trim. FUEL EFFICIENT 25 MPG Hwy/20 MPG City! Moonroof, Heated Leather Seats, Navigation, EBONY W/CIRRUS PIPING, WINDSOR LEATHER SEAT TRIM W/CONTRAST MICRO-PIPING, EBONY W/CIRRUS PIPING, WINDSOR LEATHE. Aluminum Wheels, Panoramic Roof, Power Liftgate, Turbo Charged, 4x4, PANORAMIC ROOF BLACK ROOF RAILS, LOADSPACE COVER. CLICK NOW! KEY FEATURES INCLUDE Sunroof, Premium Sound System, Satellite Radio, iPod/MP3 Input, Onboard Communications System, Remote Engine Start, Dual Zone A/C, Hands-Free Liftgate, Smart Device Integration Rear Spoiler, MP3 Player, Privacy Glass, Keyless Entry, Remote Trunk Release. OPTION PACKAGES VISION ASSIST PACKAGE: Surround Camera System, Adaptive Xenon Headlamps w/LED Signature DRLs, Blind Spot Monitor w/Closing Vehicle Sensing, reverse traffic detection, Auto High Beam Assist (AHBA), CLIMATE COMFORT PACKAGE: Heated Steering Wheel, Heated/Cooled Front & Heated Rear Seats, Heated Windshield, ADAPTIVE CRUISE CONTROL W/QUEUE ASSIST, EXTERIOR PROTECTION PACK: Mud Flaps Front/Rear, Black Body Side Molding, BYRON BLUE METALLIC, PANORAMIC ROOF BLACK ROOF RAILS, BASIC INTERIOR PROTECTION & STORAGE PACK: Rubber Mats, Cargo Carrier, Loadspace Mat, DRIVER ASSIST PLUS PACKAGE (INCONTROL TOUCH): Traffic Sign Recognition, Automatic Emergency Braking (AEB), Lane Keep Assist w/Driver Condition Monitor, BLACK CONTRAST ROOF, LOADSPACE COVER, EBONY W/CIRRUS PIPING, WINDSOR LEATHER SEAT TRIM W/CONTRAST MICRO-PIPING ADDITIONAL OPTION PACKAGES Meridian Sound System (380 Watt), Cirrus Headlining, and Navigation System (Touch) Horsepower calculations based on trim engine configuration. Fuel economy calculations based on original manufacturer data for trim engine configuration. Please confirm the accuracy of the included equipment by calling us prior to purchase. Originally bought here, Retired Service Loaner! CARFAX 1-Owner, LOW MILES - 1,530! EPA 27 MPG Hwy/21 MPG City! Nav System, Heated Leather Seats, Moonroof, EBONY W/LIGHT OYSTER, PERFORATED GRAINED LEATHER & SUEDECLOTH SEAT TRIM, BASIC INTERIOR PROTECTION & STORAGE P. 10-WAY HEATED FRONT & REAR SEATS W/DR. EXTERIOR PROTECTION PACK, EBONY W/LIGHT OYSTER, PERFORATED GRAI. Panoramic Roof, Power Liftgate, 4x4 READ MORE! KEY FEATURES INCLUDE Navigation, Sunroof, Panoramic Roof, 4x4, Back-Up Camera, Turbocharged, Premium Sound System, iPod/MP3 Input, Onboard Communications System, Remote Engine Start, Cross-Traffic Alert, Smart Device Integration, WiFi Hotspot, Hands-Free Liftgate. Rear Spoiler, MP3 Player, Privacy Glass, Remote Trunk Release, Keyless Entry. OPTION PACKAGES DRIVE PACK: Blind Spot Assist, Adaptive Cruise Control w/Stop & Go, High Speed Emergency Braking, 10-WAY HEATED FRONT & REAR SEATS W/DRIVER MEMORY, CLIMATE PACKAGE: Cabin Air Ionisation, 4-Zone Climate Control, Lockable Cooled Glovebox, R-DYNAMIC BLACK EXTERIOR PACKAGE: Narvik black hood and tailgate lettering, lower blade, fender and door finisher blade, tow eye cover surround, hood vent and air curtain inserts, Narvik Black Grill Mesh, grill surround in Narvik black, GRAND BLACK VENEER TRIM FINISHER, SIRIUSXM SATELLITE RADIO & HD RADIO, SANTORINI BLACK METALLIC, BASIC INTERIOR PROTECTION & STORAGE PACK: Cargo Carrier, Rubber Mats, Loadspace Mat, POWER ADJUSTABLE STEERING COLUMN, CONVENIENCE PACKAGE: Loadspace Partition Net, Activity Key ADDITIONAL OPTION PACKAGES Metal Front Treadplates w/ R-Dynamic Badging, SE SP2 Badge, Standard Interior, Ebony Headliner, Adaptive Dynamics, and Meridian Surround Sound System (825 Watt) Horsepower calculations based on trim engine configuration. Fuel economy calculations based on original manufacturer data for trim engine configuration. Please confirm the accuracy of the included equipment by calling us prior to purchase.